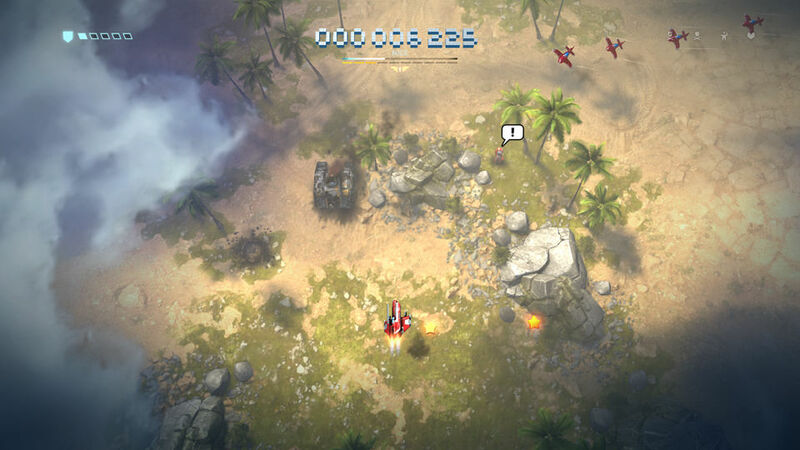 Sky Force hits again and makes a return on the XBOX One with its sequel Sky Force Reloaded. Watch out, cause here we come. It's been a while but we're back with style. So get set to have some fun. We'll bring you action, and satisfaction. At first it looks like a deja-vu to Sky Force Anniversary, since the game starts the same way: Sent directly to the action rather than the title screen. That's right, the first time playing you'll be on the Opening Stage, where you can shoot down a few things before the boss takes you down. Picking Stage 1 will start the game, giving you a new plane and your new operator telling you to upgrade it. So before starting, better read the following information before repeating Stage 1 frequently. Like in Sky Force Anniversary, the Hangar is the weapon shop of the game, just like McCoy's Storehouse from Area 88/U.N. Squadron. 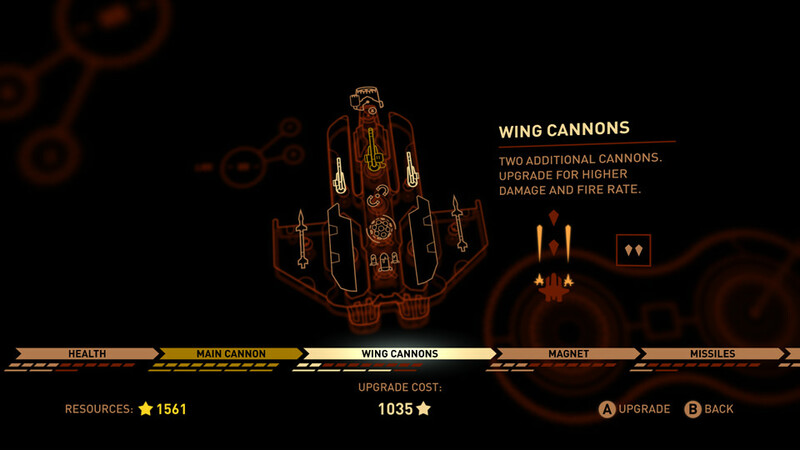 The player can buy new weapons and upgrade them, and upgrade the ship's health gauge as well. "If you need supplies i recommend you to visit McCoy's Storehouse at the far side of the Hangar." HEALTH: It increases the damage tolerance of your ship. Upgrading it to its maximum is a top priority for survive on the Insane difficulty. Your health can be upgraded up to 60 times. MAIN CANNON: Your primary weapon, this Vulcan-like shot can increase its fire rate by picking "Weapon Upgrades" during a stage, but also upgrading it does increase its fire rate and strength. It can be upgraded 60 times, at the 50th upgrade it becames a spread shot with a reasonable fire rate without Weapon Upgrades. WING CANNONS: Unlike the Wing Cannons from the previous Sky Force, the Wing Cannons fire a powerful straight twin shot in a 3-4 seconds intervals. Their strength and fire rate can be upgraded 60 times. MAGNET: This upgrade attracts all the nearby stars to your ship, like the "Bonus Items" in Triggerheart Exelica and the Medals in Raiden V. The Magnet's range and attraction speed can be upgraded 30 times. MISSILES: The Missiles are the "Homing" weapon of the game, as they lock on a random target, could be a plane, tank or simply a crate.can be upgraded 40 times. LASER: The "Energy Beam" weapon. Fires a straight beam that last for a couple of seconds, inflicting terrible damages to your enemies and bosses. Its power can be increased via upgrades in the hangar. The Laser can be upgraded 30 times. ENERGY SHIELD: The "Defensive" weapon of the ship. Deploys a spherical force field that protects the ship from collisions and all weapons for a small time period. Its duration can be increased by upgrading. Like the Laser, you can upgrade the Energy Shield 30 times. MEGABOMB: The "Bomb" of the game. This is a screen-clearing blast that inflicts damages to bosses and destroys enemies and bullets. Upgrading the weapon will increase its blast radius range and power. Can be upgraded 30 times for its maximum power. Remember Yu-Gi-Oh! 's "Heart of the Cards" thing?, it's back! Sky Force style!. The bonus card feature from the previous Sky Force is back, and this time the game features two types of cards: The "Golden" cards and the "Temporary" ones. While the Golden Cards are your permanent upgrade card, the Temporary only gives you a 15 minute advantage, then the bonus effect is gone until you pick another Temporary Card again. However, the obtained Temporary card will not be removed of the list, so it will be kept as part of the unlocked collection. 01.- INITIAL FIRE RATE UP: This card shows a large enemy aircraft firing all of its guns. Card number 1 allows you to start a level with 1 "Weapon Upgrade" increasing your Fire Rate by 10%. 02.- CARD DROP RATE INCREASE: A close-up of the player's ship showing a white shamrock. This card increases your chances of finding cards. Like i said on my Sky Force Anniversary review, this thing is like the Cube of Zoe and the Luck Points "Item Dropping factor" in Castlevania: Symphony of the Night. 03.- LUCKY SHIELD: Shows a huge aircraft shooting at a shield protected player's ship. This gives you a random shield that will protect you from dying, this Shield can be used once per mission. According to the game there's 20.532% chances of a successful discharge, so that means you only have 1/5 for chance of survival. 04.- YOUR GHOST COLLECTS STARS (2 PLAYERS ONLY): Depicts your ship and a white "ghost" ship. This is a 2-Player Mode exclusive Card that allows your ghost to pick up stars. 05.- SUPPORT DRONE: Shows a drone next to the right wing of the player's ship. Gives you the right side Drone, giving extra firepower to the ship. Unlike the first Sky Force, Drones are no longer 1-hit down. 06.- SUPPORT DRONE: Drone next to the left wing of your ship. It gives you the left side Drone, completing the additional firepower. 07.- REDUCED MISSILE'S RELOAD TIME: Depicts your ship firing multiple missiles to a large enemy aircraft. Reduces the "Reload Time" intervals of your missiles, resulting in a fast firing rate. 08.- FASTER HUMAN RESCUING: The player's ship saving a stranded pilot. It accelerates the rescue time for stranded humans. 09.- MAIN WEAPON SUPERCHARGE: A block recieving heavy fire. Your Main Shot goes all X-Buster. While firing, press the Left Trigger button to charge. 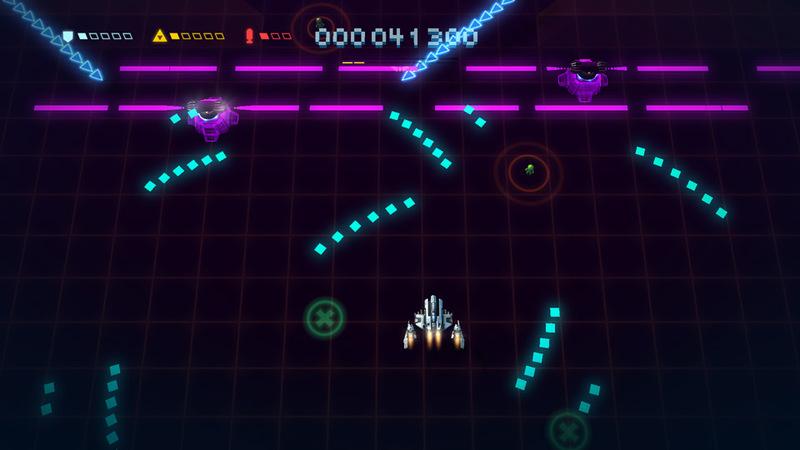 However your ship will be unable to move and it will begin to glow, then release the button to fire a super-fast stream of overpowered bullets. NOTE: Don't hold the button for too long or else the charger will explode causing instant death. 10.- POWERFUL DRONES: Armed Drones opening fire. This upgrade is exclusively for the default ship "The Classic". Increases the firepower of your Drones, replacing its basic front attack for a swinging vulcan action similar to the Round Vulcan from Axelay. 11.- SABOTAGE DISARMING FIELD ON STAGE 05: Your ship making a fly-by below a SAM-protected bridge. 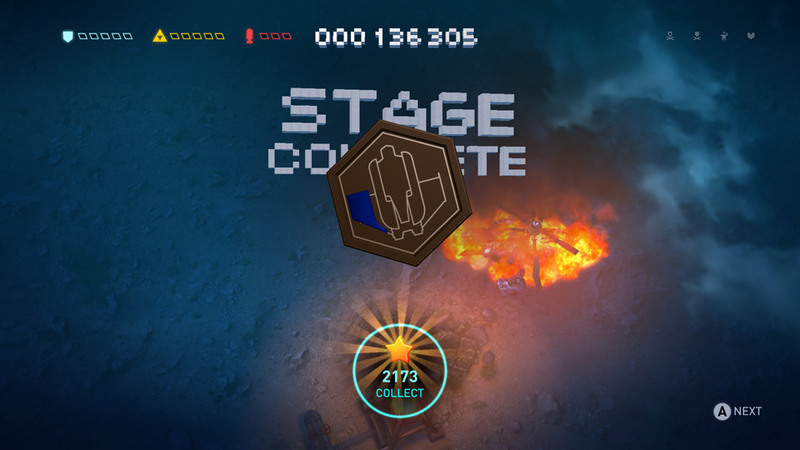 The weapon disabling energy field at the beginning of Stage 5 is deactivated, giving you a chance to destroy the turrets and crates available in the area. However, you still have to deal with the homing EMP pulse. 12.- INCREASED SHIP PART DROP RATE: An engine block and a laser cannon in a factory. Increases your chances of finding aircraft parts. 13.- INCREASED MISSILE DAMAGE: Shows a helicopter about to get hit by missiles. Your Homing Missiles will inflict even more damage with this card. 14.- ACTIVATE LASER DISPENSERS: Depicts your ship firing the Laser at a large helicopter. Unlocks "Laser Dispenser" platforms that gives you 1 Laser. 15.- ACTIVATE MEGABOMB DISPENSERS: The player's ship leaving a green explosion. Unlocks "Megabomb Dispenser" platorms that gives you 1 Megabomb. 16.- ACTIVATE ENERGY SHIELD DISPENSERS: Your ship facing a spacecraft-looking vessel. Unlocks "Shield Dispensers" that allows you to reload 1 Energy Shield. 17.- LONGER RESCUE ROPE: Depicts your ship releasing multiple ropes at stranded pilots. Increases the range of the rescue rope allowing multiple human rescues and safer distance of individual rescues. 18.- UPGRADE PRICES REDUCED 10%: A card with the words "COUPON RABAIS" and a -10% written on it. It reduces the overall prices by 10%. 19.- HEALTH REGENERATION: Your ship under repairs. Allows a 1% health recovery at a 1.7 seconds rate, giving you a larger life expectation of completing your mission. 20.- ENERGY SHIELD TO BEGIN WITH: A glowing orb of energy. It gives you 1 Energy Shield. 21.- LASER TO BEGIN WITH: Depicts a Laser beam fired from a cannon. Now you can start any stage with 1 Laser. 22.- MEGABOMB TO BEGIN WITH: A Megabomb in a green-lighted room. You will start any stage with 1 Megabomb. 23.- INCREASED PLANE'S SPEED: Your jet rushing towards an enemy helicopter. Increases the ship's speed. 24.- SCORE BONUS, NEW WEAPON FOR THE CLASSIC: Your ship firing a Raiden-esque Bend Plasma. This card unlocks two rewards in one card. First you'll unlock the "Full Deck Bonus" which increases your score at the end of a stage. Also, The default ship "The Classic" will replace its Main Cannon for a Whip Laser which works like the flexible green laser from Raiden III. 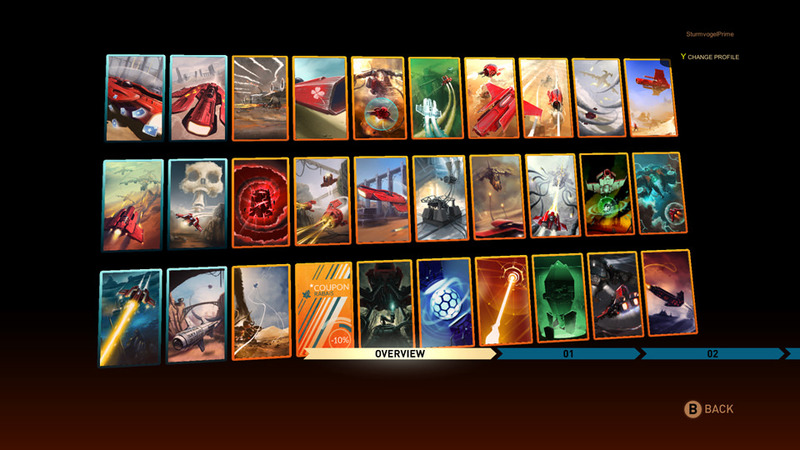 01.- CARD DROP RATE INCREASE: Depicted by the player aircraft and a lot of cards next to it. This card increases the Drop Rate of the cards in game, giving you an even bigger chance of getting cards faster than normal. 02.- EXTRA STARS: Illustrating the player ship with yellow stars painted. This card increases the total of stars gained in a level, allowing you to buy upgrades with ease. This card is extremely useful while playing a stage on Insane difficulty. 03.- MAXIMUM FIRERATE: Your ship against three large aircrafts. You will be able to start any level with the Weapon Upgrades at maximum. 04.- INCREASED MEGABOMB'S DAMAGE: Your ship leaving a "Dr. Wily-esque Skull" nuclear explosion. It increases the power of your Megabombs dealing even more devastating damages. 05.- INCREASED LASER DAMAGE: Shows the player's ship firing the Laser. This is another "Damage increase" card which increases the destructive power of the Laser. 06.- RANDOM POWER-UP AT MISSION START: A missile with the message "FROM SKY FORCE WITH LOVE". This is a very useful card since you can have either Laser, Megabomb or Energy Shield for free, even if you don't have these weapons installed. I already feel like i'm repeating myself since the features of this game are basically the same from the previous Sky Force, just some minor improvements in the Cards and a larger upgrading on the Weapons. However, there's new features in the game that brings more than the U.N. Squadron-esque "Fly-Earn-Buy" pattern. 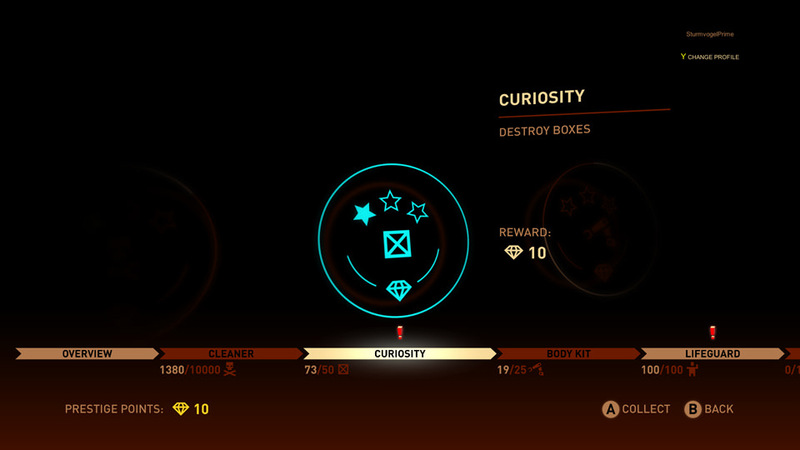 To improve the replay value much further, the game introduces three new features: "TROPHIES", "OBJECTIVES" and "TECHNICIANS". From destroying enemies to entering weekend Tournaments, get on your plane and reach the 600 Prestige Points, Good Luck! Trophies are obtained by defeating a stage boss in Normal, giving you the date when you defeat it and the number of attempts before you killed it successfully. Their status will be updated as you unlock further difficulty levels. Objectives gives you Prestige Points by completing certain requirements like killing 10,000 ships, rescuing 100 humans, destroying 50 crates or installing 25 upgrades. You can complete an objective 3 times, and there's 8 objectives available for a total of 24. Prestige Points are used to unlock the Technicians. Technicians are the equivalent of a co-pilot for you ship, but in this game, they give you additional advantages from high scoring to extra firepower. Luke Skywalker has R2-D2 as his partner, while your partner is Gringo Star. 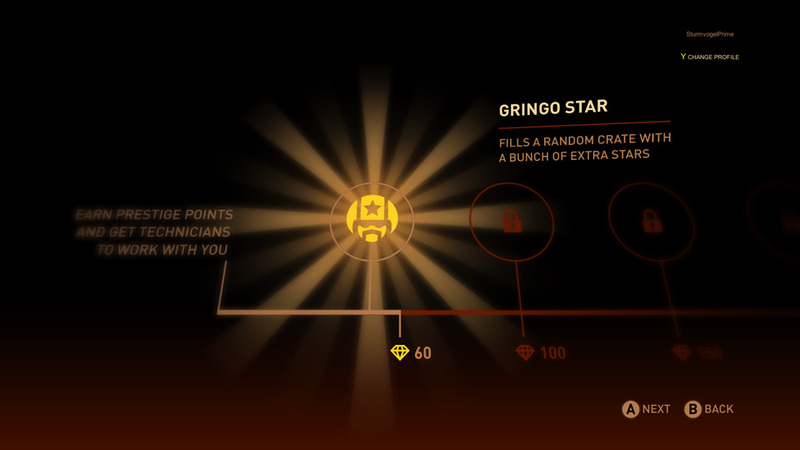 GRINGO STAR: "Fills a random crate with a bunch of extra stars" Gives you a glowing golden crate which drops extra stars for an extra money boost, if you combine this Technician with the "Extra Stars" Temporary Card and the Insane Difficulty it becames an incredible money-generator, even on Stage 1. His name is a pun on the term Gringo and the Beatles singer Ringo Starr. KATE BRUSH: "Paints over your first scratch, that's one more chance to stay untouched" - Her name makes a reference to the musician Kate Bush. She addresses one of the issues of the game: Losing the "Stay Untouched" status, but it only works for the first time you get hit, making the Medal hunting much easier. BURTON PANIC: "Has a few power-ups of his own" - Wordplay on "Panic Button". Burton "randomly" triggers additional Power-Ups (Special Weapons) during the mission. He could trigger a Megabomb, Laser or Energy Shield without using your own Power Ups. LUCY CLOVER: "Brings good fortune (in all aspects)" - She causes crates to have better loot and to cause 'Lucky Shield' to activate more often, the first time you get hit consistently triggers a lucky shield, and make cards and plane parts to appear more often effectively making this Technician a great option for item hunting and plane unlocking. Her name is a wordplay of "Lucky Clover". SLOW MO CHAN: "Slows down hostile bullets". A corruption and wordplay of "Slow Motion". This Technician will create a Mao-Mao-like E-Wave pulse at the beginning of a level. He is also capable to slow down the infamous EMP of stage 5. TASE MEBRO: "Strikes nearby enemies with a lightning bolt". This Technician will make your ship able to shoot a lightning bolt to any enemy that gets close to your ship in any direction. His name is a pun on the meme "Don't Tase Me, Bro." HOLO GRANNY: "Deploys decoys on the field" - This Technician creates temporary holograms of your ship that last a few seconds. Her name is a word play on Hologram and Granny. 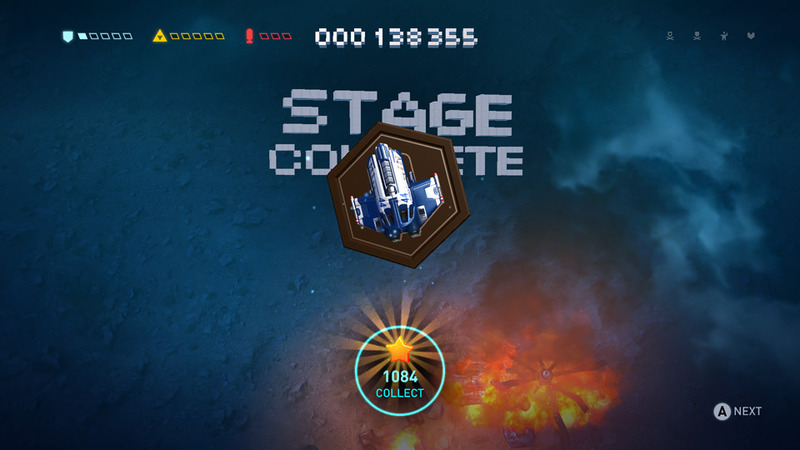 HAYES CORE: "Helps to get high scores" - A pun on "High Score" each box gives 2.000 points and the Megabomb, Energy Shield and Laser reloading platforms are now Score Loading Platforms. The longer you load them, the more points you get and the faster they raise. Each platform gives you a maximum of 4.000 points. The Card Radar is a new item locating tool for finding a card by spending some stars. Depending on the amount of stars spent you will increase the probabilities for find a card. For example, spending 320 stars gives you 5.00% of finding a card, while investing 4,900 stars gives you a maximum chance of 60% on the "Radar Range". The results are "Luck Based", because all depends if the card gets in the "range" of your radar or not, but its still being a very useful tool for collecting all the cards faster. Sky Force Reloaded passes from being "The Vertical U.N. Squadron" to "The Alpha Mission III that we've been looking for." Another feature of this game is the "Parts" item, which appear at random like the cards. This item works in the same way as the Armor Parts from Alpha Mission II Last Guardian, but this time you have to pick 5 to unlock a new ship. There's times you could have 3 green parts and then a blue one appears but don't worry, the game will keep count of which parts do you have, so there's no fear of getting the whole thing resetted like in Alpha Mission II. 1.- THE CLASSIC: Your initial ship, This ship comes with an initial frontal shot that becames a Spread vulcan once its upgraded 50 times. 2.- AMBULANCE: Unlockable by finding and collecting 5 "White" Parts. This ship has an increased rescue speed. This ship has a wider spread Main Cannon, allowing to aim different targets from further distance. 3.- GLADIUS: Unlocked by collecting "Purple" Parts. This ship is the "Power Type", it has an increased firepower, combined with the Main Shot of "The Classic" turns into an unstoppable force unlike any other ship of the game, its Drones fire diagonally for additional support. But it has a shorter weapon range which is its main weakness. 4.- ENFORCER: Unlocked by collecting "Silver" Parts. Another "Power Type" ship, although it uses the same "Spread" Main Cannon as "The Classic", it is 10% more powerful. Not as strong as the Gladius, but its fire range runs all the way up the screen like the other ships of the game. 5.- IRON CLAD: Unlocked by collecting the "Green" Parts. The "I can take more damage than you" type of ship with 50% more health than "The Classic", but 10% slower. It is equipped with the same Main Shot of "The Classic" ship. 6.- SWIFT JUSTICE: Unlocked by collecting "Blue" Parts. Specialized in speed and full-frontal attack with a fast "Linear Shot". This ship is 10% faster than "The Classic", but 50% less health. 7.- LIMP BERSERKER: Unlocked by collecting "Orange" Parts. This is a very unique ship since it starts with the Maximum Firerate. The downsize is that the ship is quite "fragile" since it has an extremely low health compared with other fighters. Uses the same Main Shot of "The Classic". 8.- ACE OF SPADES: Unlocked by collecting "Black" Parts. This ship is specialized for one purpose: Card Hunting, it has an increased luck for this purpose and an increased Magnet power to attract stars. Combined with both "Card Drop Rate Increase" Temporary and Regular cards, its an ideal ship for complete your card collection much more faster than any other ship. Unfortunately, this wonderful advantages comes with a terrible prize; it is the most fragile ship of the game since it has the lowest health of all the available aircrafts. Like with Limp Berserker, it is extremely recommended that you should upgrade the "Health" to the max in the hangar before using this jet. By the way, it uses the same "Spread" Main Shot of "The Classic". 9.- OCTOPUS: Unlocked by collecting "Pastel Blue" Parts. The "Missile Type" ship. Basically it's "The Classic" with a new Homing Missile. Instead of firing 2 missiles, it launches 10 of them. 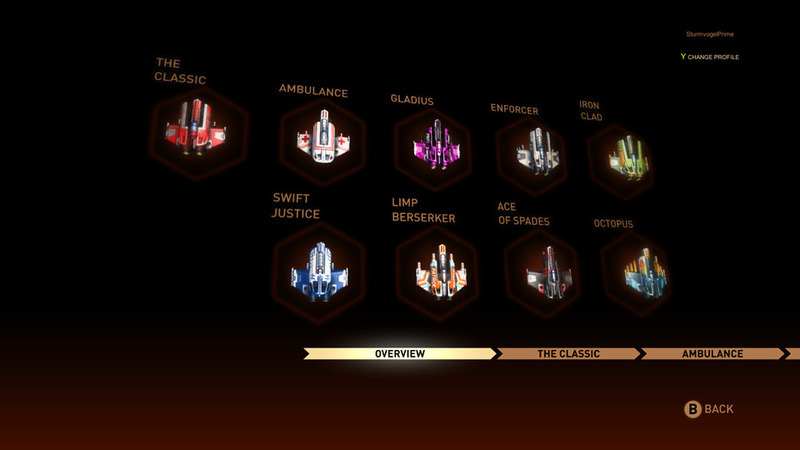 Like the other ships of the game, it uses the same Main Cannon of "The Classic". Having a CPU controlled partner is always good in this game. Once you've unlocked like 3 or 4 planes you'll also unlock an item called "Color Changing Cube", which will summon one of the planes as a "Wingman" providing additional support in firepower, human rescuing and picking stars, pretty much like the "Partner" function of the Android version of Strikers 1945 III. However, if your Wingman is destroyed there's no second chance to obtain a cube for the rest of the level. Also, if the Wingman survives you'll not get a bonus which is kinda disappointing, i mean think about the comrade ship feature from Gridseeker Operation Storm Hammer, where you get bonus points if the ally survives. The Chain structure remains the same as in Sky Force Anniversary. Destroy an entire enemy formation to fill a gauge. If one enemy escapes, the whole chain will break and the player has to start all over. The score sequence also remains the same as before. The gameplay of the game remains the same as its predecessor, a basic vertical shooting game in the style of Capcom's 194X series where the main feature consists of destroying formations, earn stars and destroy a boss in order to proceed to the next Stage. One thing that is certain for sure is you're not gonna be able to do full chains at the beginning due to the initial weak state of your ship, so that will require upgrading the Main Cannon, Wing Cannons and Missiles to fully achieve all the Stage Medals. Unlocking this medals is also a crucial part to progress further in the game, since later stages will require to obtain a certain number of medals to unlock them. To do this, there's four additional objectives to complete. COLLECT 70% OF STARS: Picking the stars dropped by enemies you shot down and destroying at least 70% of the enemies in the level. Something that is not out of reach regardless of the selected difficulty level. COLLECT 100% OF STARS: This second medal is obtained by destroying all enemies during the level. RESCUE ALL PEOPLE: There's people scattered throughout the level, so you have to save all of them to achieve this medal. STAY UNTOUCHED: Complete the mission without getting hit. If you get hit and recover your full health doesn't count. Once you've get the four medals you'll unlock the next difficulty level for that specific stage. By the moment you can only unlock Hard and Insane difficulty levels. The final level "Nightmare" can only be unlocked until you complete all the stages. Also it will require to upgrade the Health to the max on the hangar because the difficulty is based on damage inflicted to the ship and enemy resistance rather than adding heavy fire against you. Being able to fire a simple wide shot really addresses the issue of the linear fire from the previous game, allowing the player to achieve the 100% of enemies destroyed in the first 9 levels, and i say the first because the rules take a curve ball from there. You'll be facing enemies with Anti-Shield weapons, now they're capable of taking down your shield in one shot like Railgun Turrets and Superlasers. Also, the game will introduce some basic "Bullet Hell" elements making more difficult to achieve all objectives in one try. So you'll have to decided what to do: Get the 100% and save the humans later or get killed trying. 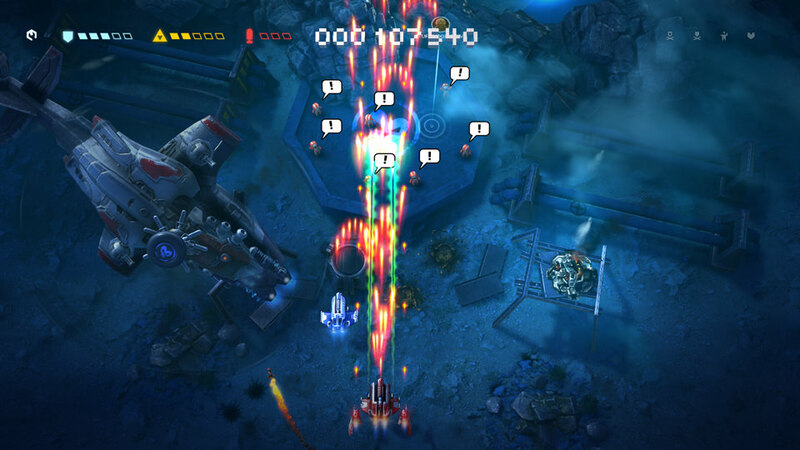 Stage 5 features the same "Go Defensive" problem of the previous game. The EMP pulse is back and if that wasn't enough, Stage 5 will start with an unavoidable wall that emits a weapon disabling barrier. While the barrier can be disabled by finding a specific card, you'll still have to deal with the EMP pulse. So you can decide to destroy the turrets while avoiding the pulse, or take the hit and all evasive like the "Pacifism" from Contra 4. The unlockable planes and Temporary Cards also manages to improve the replay value much further specially if you have the Extra Stars card which will be the favorite for money boosting fans. Alternate Comment: Hey! Hey!, It's OK. I've never felt that way. Hey! Hey! It's alright. Dancin' in the Laser Light! The game's length was also increased from 8 to 13 stages and the extra B1 and B2 stages for a total of 15 stages waiting for your challenge. But also, the game brings the Weekend Tournament back. As usual, each Tournament is a randomly designed endless level where the only way out is dying which will happen sooner or later. One of the random stages that i've played was about destroying worms made with vectorial-graphic triangles. At first i thought if i killed the red triangle first would kill the rest like in Geometry Wars and the Helicopter formations in Metal Slug 3, but instead you have to kill the entire worm, also, add the turrets which will make Chain formation more difficult, so what's gonna happen is that you're gonna lose your Chains over and over and over again, making you to focus on destroying the turrets and avoid enemy fire rather than destroying worms and save humans. While the Tournament can be entertaining, there's a major flaw that you'll be facing very often and is the failure at retrieving friends scores, thus making impossible to progress on the "Weekend Hero" Objective that consists on break the tournament's high score multiple times, which makes impossible to unlock the last 2 Technicians. I'm not gonna talk about this again and yes, Minami Nitta looks much better. Sorry, Sky Force. The character design remains almost the same, and when i say "Almost" is because there's one part that failed, and that's the "human" character design. Don't even get me started again. While in Sky Force Anniversary it resembled the early 90's Nicktoons look, in Reloaded they look terrible, like if the late 2000's Nickelodeon puked on Sky Force. Just look at your unnamed partner, rather than a pilot looks like she's wearing a baby hat (those plush bear ears doesn't look militaristic), and not to mention how atrociously ugly miss Scarlett Mantis looks, gah, i'm not gonna talk about this anymore. Let's just say they make Burger King Kids Club look like Neon Genesis Evangelion. On the other side and to be fair, the game's graphics conserves the realism that made Sky Force the "Smash Hit" it is, with the satellite looking imagery for the backgrounds and the realistic look of the oceans and weather conditions, giving us another visual Tour-de-Force for shmup lovers like us. The mechanical design still combines the anime-style of the mecha genre, blended with a modern military look. My only complain about the designs are the selectable ships because i think they could pull a better effort on their design, since there's minor frame design changes that makes them differ from "The Classic", making them look like alternate paintjobs rather than new fighters. The music style remains the same as in Sky Force Anniversary, as the background combines slow paced ambient music with techno notes which they repeat in a few stages. 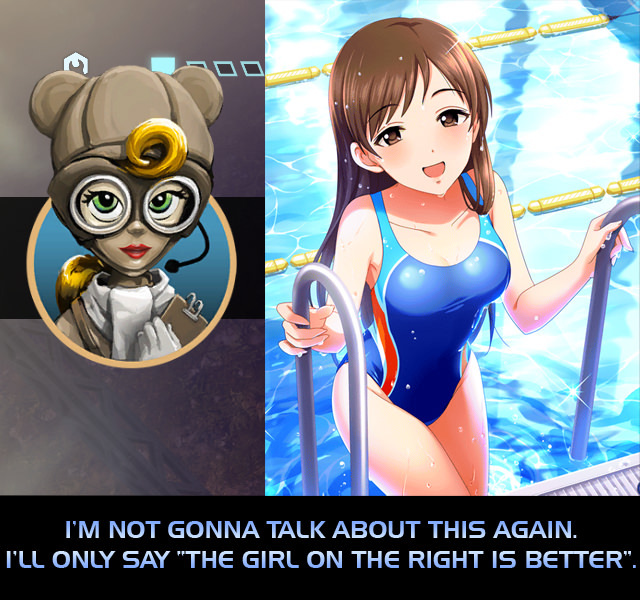 The voice samples were reused from the previous game too, so there's not too much to talk about this part of the game. With the ending hinting a sequel, the only thing i will say is "PLEASE, PLEASE, give us some anime-style designs". It'll be a nice change for Sky Force III and shmup fans (at least the majority of them) will appreciate it. Overall, Sky Force Reloaded is among one of the best indie shmups you can find for the XBOX One. A game worthy of giving a try.